CUSTOMER : FRIGAULT AGENCY, INC.
We are an Independent Insurance Agency that offers personalized, professional service to our clients. Whether you are looking for Auto, Home, Life, Business or Recreational Vehicle Insurance, we take the time to listen to your needs and find the best policy for you. 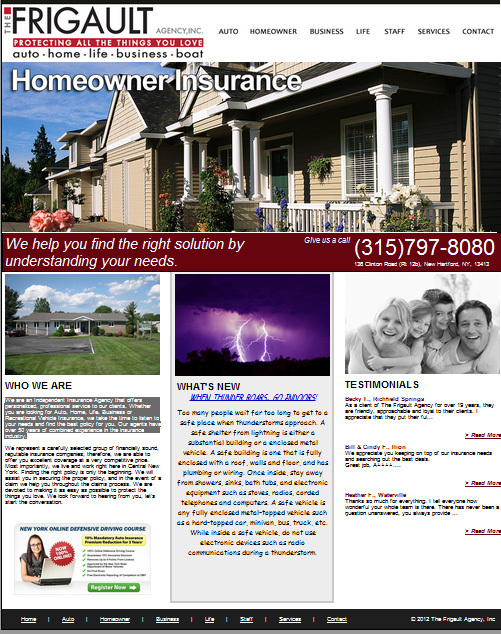 Our agents have over 50 years of combined experience in the insurance industry.